Restrictive prior authorization practices cause unnecessary delays and interference in care decisions for cancer patients, according to a new survey of nearly 700 radiation oncologists -- physicians who treat cancer patients using radiation-- released today by the American Society for Radiation Oncology (ASTRO). Medicare-covered stroke patients receive vastly different amounts of physical and occupational therapy during hospital stays despite evidence that such care is strongly associated with positive health outcomes, a new study by Brown University researchers found. A federal district judge in Oregon blocked new rules for the federal family planning program issued by the Trump administration and due to take effect May 3. It's one of several cases out to thwart the changes that would effectively evict Planned Parenthood from the Title X program. A paper by Columbia Mailman School's John Rowe, MD, Julius Richmond Professor of Health Policy and Aging, in the journal Health Affairs outlines the challenges we face as the U.S. becomes an "aging society." 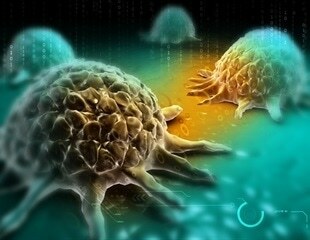 An emerging new type of oral cancer in men has increased over the last 15 years. The culprit is human papillomavirus, and key social factors are contributing to its growth. Three-quarters of the public — including a majority of Republicans — want the federal government to protect patients from being stuck with surprise medical invoices after they are unwittingly treated by doctors or medical facilities that are out of their insurance network, a poll released Wednesday found. Older adults with end-stage kidney disease who start dialysis--a treatment that keeps their blood free of toxins--appear to die at higher rates than previously thought, according to findings of a new study by researchers at Harvard Medical School, Brigham and Women's Hospital, Veterans Affairs Boston Healthcare System and Icahn School of Medicine at Mount Sinai, among other institutions. In a commentary published in the American Journal of Kidney Diseases, public health researchers suggest adjustments to recently proposed rule changes on how Medicare pays for dialysis services. Former two-term Colorado Gov. John Hickenlooper is a rare breed in the 2020 presidential race — he's running as a moderate. New Medicare reimbursement rules provide some relief to safety-net hospitals, shifting the burden of financial penalties toward hospitals serving wealthier patient populations, according to a new study led by Washington University School of Medicine in St. Louis. Vermont Sen. Bernie Sanders, a presidential candidate, unveiled the 2019 version of his "Medicare-for-all" bill this week. But even more than two decades after first proposing a single-payer plan for the U.S., Sanders still has not proposed a way to finance such a major undertaking. Can someone tell me what a PBM does? It was back-to-school day at the Senate Finance Committee hearing Tuesday morning. In the third of a series of hearings on rising drug prices, the senators seemed focused on getting an answer to one central question: What the heck is a pharmacy benefit manager? When Larry Anders moved into the Bay at Burlington nursing home in late 2017, he wasn't supposed to be there long. At 77, the stoic Wisconsin machinist had just endured the death of his wife of 51 years and a grim new diagnosis: throat cancer, stage 4.